Two workers at a Sakarya factory and a waiter in Turkey’s Antalya province were detained for wearing Hero T-shirts on Friday. 29-year-old M.S. put on a Hero T-shirt before going to work at a 5-stor hotel in Antalya’s Serik district on Thursday. Upon complaints from people at the hotel, M.S. was taken under custody. Asked whether he is not aware of the news about the infamous T-shirt during the interrogation, M.S. said he aware but that he has not taken it serious and also that he likes to wear white clothing. The court in charge put M.S. in pre-trial arrest on charge of making propaganda on behalf of a terrorist organization. Meanwhile, two workers at a plant in Sakarya’s Akyazi district were also rounded up for wearing hero T-shirts at work on Friday. The hero T-shirts became a contentious issue when Gökhan Güçlü, one of the suspects on trial for an assassination attempt against President Recep Tayyip Erdoğan on the night of the coup, was thrown out of the courtroom last Thursday for wearing a T-shirt bearing the word “hero” because it caused tension between the parties during the hearing. 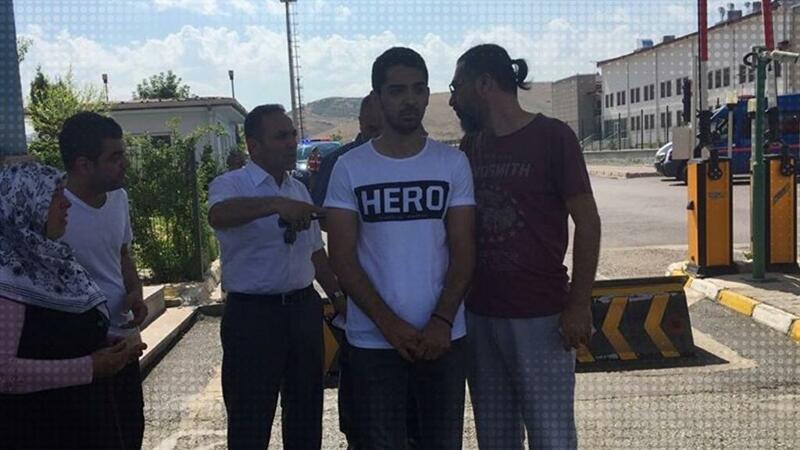 Since then, Turkish police have rounded up 9 people including two university students for wearing T-shirts bearing the word “hero” in Eskişehir, Aydın, Elazığ, Antalya, Sakarya and Erzurum provinces. President Recep Tayyip Erdogan said people detained over coup charges should wear a single outfit, like in Guantanamo. In the meantime, it has only recently turned out that such T-shirts were made and sold by Turkish ready-to-wear retailer DeFacto which later stopped the sale amid controversy.